Larry and Christel Rogero have lived in the Upper Ojai Valley since 2003 on a seven acre plot of land. 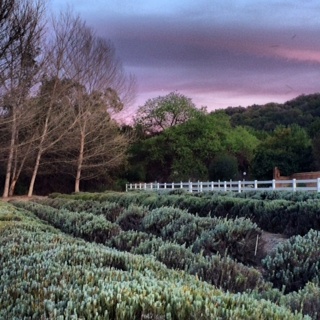 Lavender was planted in 2005, nine years later we have 500 plants of three varieties, Provence (French), Hidcote (English) and Grosso (English). 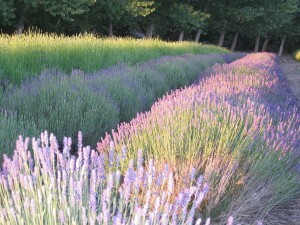 Much of the lavender is harvested to dry and made into soaps, sachets, dryer bags and dried bouquets to name a few things. Annually, we have a harvest party with close friends and family which makes for a fancy feast and an unforgettable scented evening. 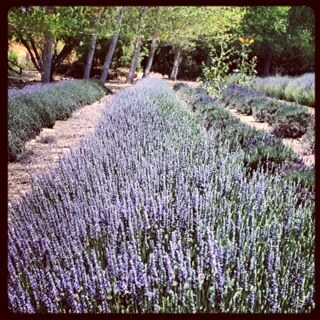 We are open for the Lavender Festival and for u-pick on weekends for the month of June and July or by appointment. Call or text 805-921-0027. Click Here to download a printable map showing how to get from the Lavender Festival to Frog Creek Farms.